WIDOW RADIO CHING is a radio operetta, variety show and audio symposium with FM broadcast and netstreams on Radio FRO (Linz) and Radio Helsinki (Graz), live aboard the survey vessel Eleonore from August 3 to 5, 2016, 00:00-01:30 (GMT +1) nightly. From the South China Sea to the Danube river, minor ripples become the waves by which the hydrofemme contests the neocolonial frontiers of water in defense of an oceanic commons of substance and thought. 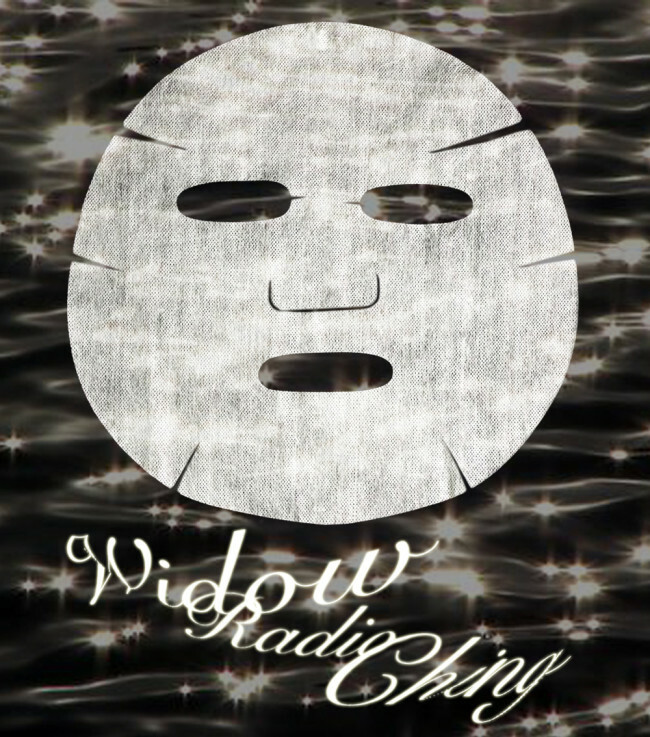 WIDOW RADIO CHING rewrites a fragmented and amorphous ode to the hydrofemme as a sonic essay in (radio) waves, transmitting her as a multi-headed heroine who traces the fissures between bottom-up social organization and top-down politico-economic power. Weaving together textual narrative, sound works, and dialogue with invited guests, WIDOW RADIO CHING will unfold in three acts (each act of 90 minute duration) following a trajectory of queer time — divested of concrete future aims and abandoning overarching, streamlined narratives of the hope and optimism that govern our contemporary political, economic and environmental ecosystems. Beginning from the critical dystopia that is our science fiction present, migration, extraterritoriality and environmental degradation shall take new course expanding upon feminine myths of liquidity, fluid identity and alter-sovereignty in labour. WIDOW RADIO CHING features contributions by: Shu Lea Cheang, Deborah Cowen, Natalie Galpern, Annie Goh, Aurelia Guo, Elaine W. Ho, Reni Hofmüller, Ming Lin, Astrida Neimanus, Kaitlin Rees & Liam Welch, Kate Rich, Pelin Tan, Tortuga, Eva Ursprung, et al. Writer-researcher Ming Lin and artist-researcher Elaine W. Ho work under the shared mantle of Display Distribute — a shop, exhibition space and roving thematic inquiry investigating bottom-up organisation amidst global trade. What began in 2013 as a documentary gesture of a distinct urban phenomenon has unfolded as a series of interventions, research initiatives and distribution experiments, forming a unique document that attests to the ad-hoc arrangements emerging out of the fissures of capitalism and its social and material detritus. WIDOW RADIO CHING is their first foray into the sociopolitical spaces of broadcast. NOWs: Spherical Semaphores, 2016 Salzburg (A) Spinnaker, sails, textile colour. 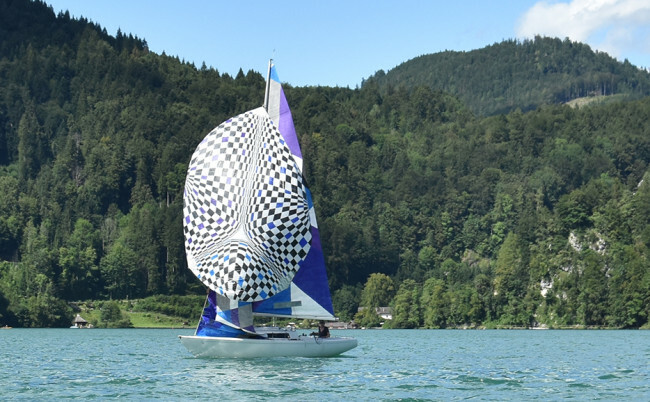 NOWs: Spherical Semaphores, 2016 Salzburg (A) Spinnaker, sails, textile colour.